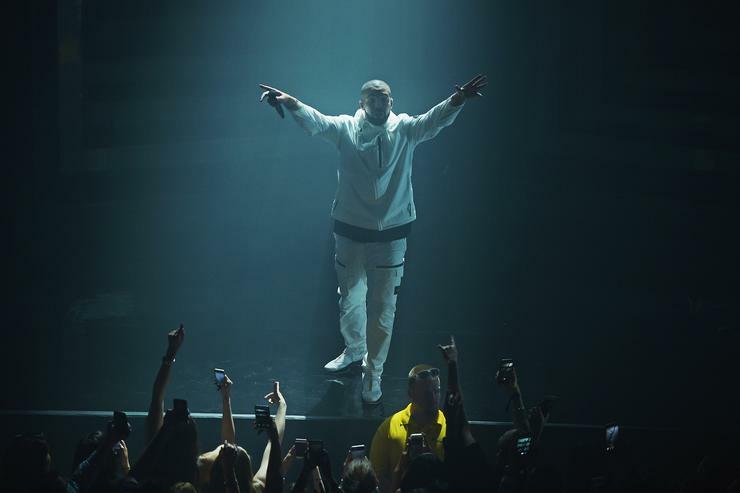 At this point, it’s not really surprising when Drake beats a new streaming record. His new album, Scorpion, broke the Spotify and Apple Music first-day streaming records no problem, racking up almost 200 million streams in its first 24 hours on Apple Music alone. Well, it appears that Drake has already beaten yet another record with this new album. However, this broken record comes with a twist. According to Complex, Drake’s “Scorpion” has already beaten the record for highest amount of streams in a single week, in only three days. Reports show that Drake has amassed 435 million streams since the album released on Friday, and that number doesn’t even include today. The previous record holder, Post Malone, totaled 431.3 million streams in the week after Beerbongs & Bentleys dropped. An impressive number for sure, but Drake still has another four days to make the lead between them even larger. Projects are showing Drake finishing the week with an over an estimated 700 million streams by the end of the week. All of this plays in to the massive first week sales projection that Drake is expected to have, selling between 870k and 920k album equivalents in its first week, and easily placing itself as the biggest chart debut of the year. Scorpion will easily debut at number 1 on the Billboard chart this week, making it Drake’s 8th number one album in a row. If you can’t stop listening to Drake, don’t miss your chance to cop the physical edition of Scorpion when it drops this month.